I hate to say it, but data is cool again. Stat nerds are running baseball. Pollsters can predict how a single policy decision can swing the electorate block by block. And marketers can push ads to customers for a product before they even realize they need it. Now, more than ever before, data is informing the decision-making process in ways we couldn’t have ever dreamed. 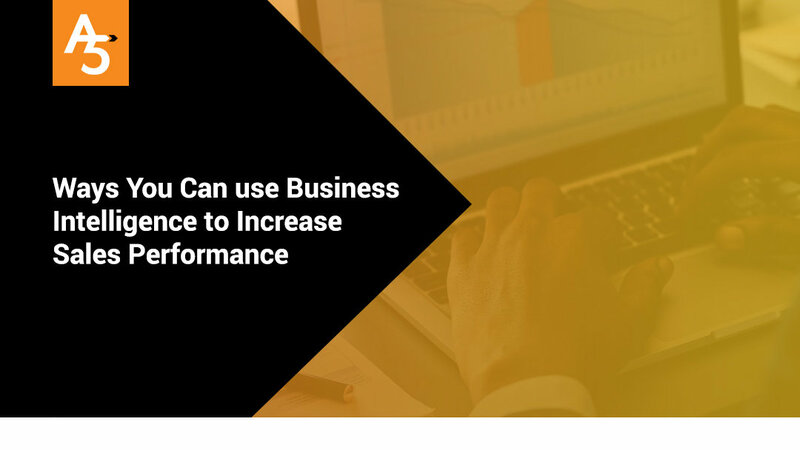 Organizations can also use data-driven business intelligence to increase sales performance and derive insights that will help them tweak compensation plans, motivate sales reps, monitor goals and forecast how changes will impact sales behavior in the future. Education: Knowledge is power. Real-time insights into progress on sales goals, expectations and compensation package structure make it more likely reps will be successful. Managers can distribute compensation plan documents and provide reps with access to a sales dashboard that updates in real time. Visibility into how they stand can be a real motivation for pushing that last sale across the finish line. Managers can also use data to identify the strengths and weaknesses of each rep, allowing them to tailor their coaching strategy accordingly. Instantly, managers can see where the rep stands with meeting goals, where they need help and whether they are focusing on the appropriate priorities. Knowing when someone on the team is trending in the wrong direction allows managers to be more proactive when taking corrective action before it is too late. Reps should also be able to monitor their own performance and see how they are tracking toward their goals. Data-driven gamification is a great way to create some healthy competition and motivate sales reps, and analytics provides much-needed transparency and visibility into how the competition is shaping up in real time. Not all compensation has to be monetary, either. Prizes, extra vacation days and entries for bigger drawings are good options. Not to mention good old bragging rights. Compensation plans should be constantly updated to reflect changing market conditions and dynamic business goals—albeit in a transparent way. Business intelligence can help monitor plan effectiveness, ensuring that the right behavior is being incentivized. Data can also be fed into forecasting tools to see how changes to plans will impact future sales—an increase in commission on last year’s inventory to clear backlog, for example. Data-driven business intelligence can be a powerful tool you can use to optimize sales performance. Data enables better, more-informed decision making about compensation, motivation and forecasting.